We can get too preoccupied during the day and do so many things at once that it can leave us exhausted by the end of the day. Being busy is not only a good thing because it indicates how productive we are but it can also ensure we sleep soundly at night out of pure exhaustion. If only that is true all the time then life would be so much easier. However, there are people suffering from sleep disorders that keep them tossing and turning at night even though they have been through a lot during the day. 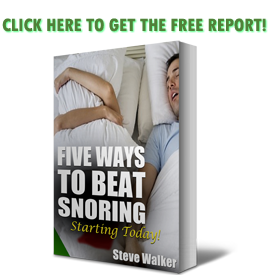 And it no longer comes surprisingly that many people actually suffer from these disorders like insomnia and sleep apnea – characterized by loud snoring – than many would like to admit. Men are mostly diagnosed with sleep apnea, meaning there are countless wives out there all over the world who have to endure their husband’s loud snoring but still manage to like being around them. Sleep clinics do help quite a bit. However, sleep apnea poses far more danger than just losing sleep at night. Do you feel tired and just “unrested” even after what seemed like a good night’s sleep? Have you been told you snore very loudly and toss and turn all night? Do you find that you wake up with a dry, sore throat or a headache? Or that you feel yourself nodding off during daytime hours? You could have a very common – but very serious –sleep disorder called sleep apnea. Sleep apnea occurs when a person’s breathing stops repeatedly during their sleep, sometimes hundreds of times. This means the brain may not get enough oxygen and definitely never gets enough rest. Obstructive sleep apnea, the most common form of apnea, is caused by the soft tissue in the back of the throat collapsing during sleep, which blocks the airway and can cause loud snoring. Fortunately, there are many ways to combat sleep apnea. Modern science now offers various sleeping disorder treatments than snorers had access to in the past. From handy anti-snoring mouthguards and mouthpieces to more old-school treatments like CPAP, snorers now have a better chance at beating sleep apnea for good and are able to sleep again without having to worry about snoring ever. However, alternative treatment is also available for those who don’t mind to experiment with newer technologies. If you are having trouble getting your sleep in, you may want to try calcium and magnesium supplements both are natural sleep aids (A deficiency in magnesium has been shown to cause insomnia and restless leg syndrome). Melatonin is also a supplement (not a vitamin), and is available without a prescription and is sometimes used by some people to help them fall asleep. Remember, a good nights sleep will help you in your journey to better health, helping you lose weight, keep you more alert during the day, improve your memory, reduce inflammation and reduce stress. Good-night and sleep well my friends. We all think of gadgets as bad for our health especially that it takes our time away from sleep aside from the unnecessary exposure to dangerous radiation. However, there is a way to make gadgets work for you and help you sleep better. Blame it on job stress or the circadian-rhythm-wrecking blue light of cellphones and tablets, but studies show that nearly half of Americans don’t sleep well and that significant percentages of us suffer from chronic insomnia and sleep apnea, and that causes us to turn to prescription sleep aids. This lack of overnight recovery creates stress, ruins productivity and batters your health. 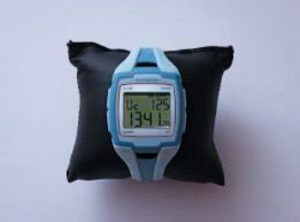 The market is full of amazing and innovative products and gadgets that can help everyone who suffers from the lack of sleep caused by these various sleeping disorders. There is something for everybody at a price you can afford. No need to suffer from the inconvenient CPAP or undergo invasive surgeries to improve sleeping and breathing during sleep. Now you know that not all gadgets are distractions to our sleep if you just know which gadgets to avoid come bedtime and which ones to use.